iMaxWebSolutions is different. A company founded and led by successful, award winning RE/MAX agents and broker/owners, iMax is 100% focused on delivering tools and web solutions that are practical, easy to use, affordable and that will differentiate you in your local marketplace, driving new business and revenue to your bottom line. 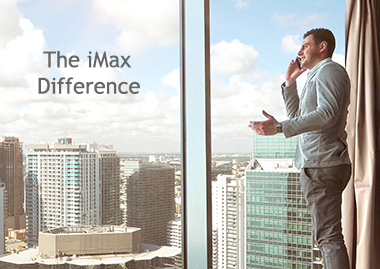 iMax goes beyond the traditional web sites and e-marketing tools and provides agents and broker/owners with sophisticated and comprehensive mapping, market intelligence reports, showing schedules and CMA tools, specifically designed to provide you with a competitive advantage.